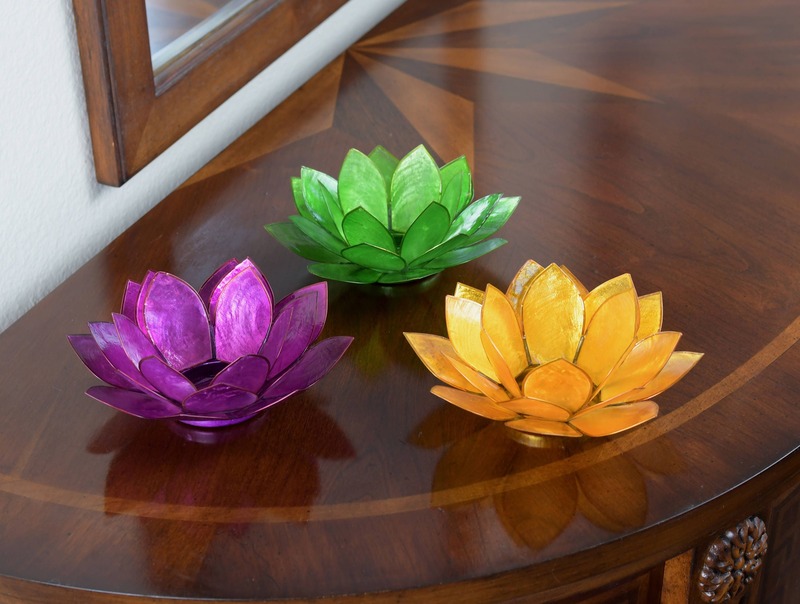 These colorful Capiz Shell candle holders are inspired by the Lotus Flower are nestled in a 'gold' encrusted case. Great gift for a friend or colleague, conversational piece, or personal keepsake. 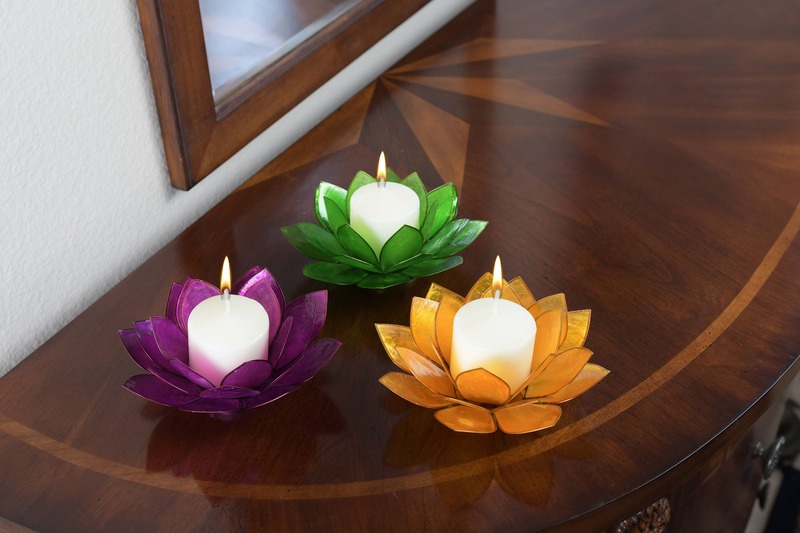 Makes a terrific addition to your engagement, wedding or other special occasions. Also great for favors. Each items comes in its own clear hard shell plastic box - very easy to wrap. They are approx. 5 inches wide and the recess for the candle is about 1.5 inches wide. When buying the 3-Piece set you are aving over 20% compared to buying individually.